I’m Sarah. I have a unique sense of humour and have been told that I’m annoyingly optimistic at times. You either have already seen my name/face on the SUPBoardGuide site or will do if you snoop around. I’m the newest addition to the team! I’m water obsessed. SUPs, surfing, sailing, kayaking, snorkelling, rafting, diving…I love it all! Not only am I here to give you insightful and honest information about all things SUP, you can also check out my travel blog. As of this year, I quit my job, sold my car, said goodbye to the family cat and moved overseas as a freelance writer. I’ve caught the digital nomad bug. So now, you’ll find me either in the crystal clear waters of some foreign country or being SUPer(I warned you of my humour) cool in some co-work space. I’m Tobias, creator of SUPBoardGuide.com. 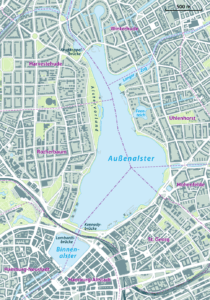 I’m 26 years old and currently live in Hamburg, Germany. I’ve moved to Hamburg about a year ago after spending some time in Canada, California and Bali. I’ve been paddle boarding for the last 4 years and have loved every second of it. While SUPBoardGuide.com started out as a hobby, it’s turning more and more into a full-time obsession. Hamburg is definitely one of the coolest cities for paddle boarders and the sport and the paddling community is growing fast! 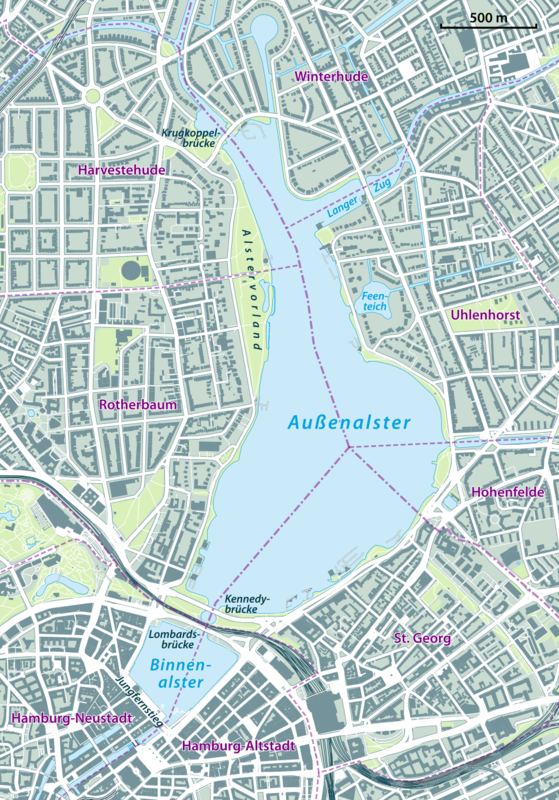 There are tons of small rivers and canals that can be explored by SUP and almost all of them are connected by a large lake in the city center called Außenalster (Check out the picture below). On top of that, the port of Hamburg is the second largest in Europe giving you the opportunity to SUP right next to huge vessels or cruise ships. It’s also just a 50-minute drive to the Baltic Sea so if I ever feel like hitting some waves I drive out there. 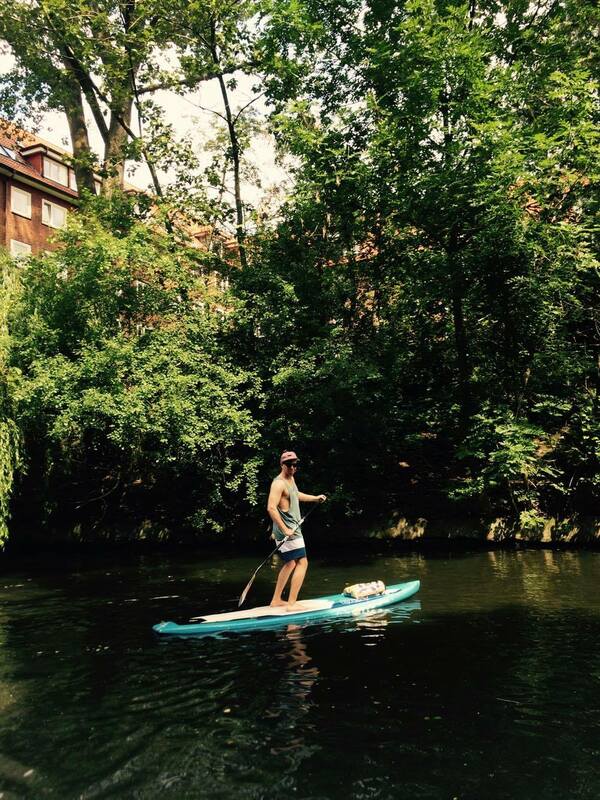 Check out the video below to see what it’s really like to SUP in Europes most beautiful city! My goal for the site is to build a fun community of like-minded people that love to be out on the water. 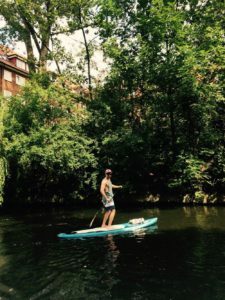 I’m going to cover anything from gear reviews to tips and tricks and the best spots to stand up paddle board but most of all anything that’s fun or cool about paddle boarding. To help you find whatever you’re looking for I’ve put together this guide. It gives you an idea of all the things covered in the SUPBoardGuide community. You have questions, want to share your story or get involved in any way? Message me or contact me on Facebook.